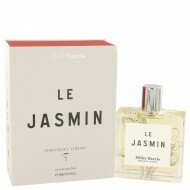 Cassis En Feuille is a sweet, multi-faceted perfume that features earthy green notes with fresh flor.. Launched in 2000 in collaboration with perfumer Lyn Harris, this fragrance lives up to its name with.. 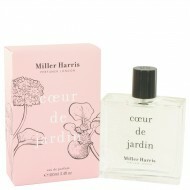 The citrusy, crisp cocktail that is Coeur de Jardin is a charming scent with clues of lemon, peach, .. 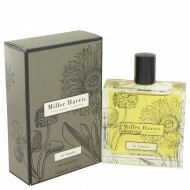 This is a leathery, smoky fragrance for both men and women. This new fragrance leads with citrus top.. 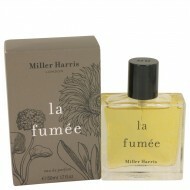 Released in 2000, Feuilles De Tabac by Miller Harris is an outstanding perfume for women that carrie..
Miller Harris presented L' Air de Rien in 2006. This is an Oriental Woody perfume for women. 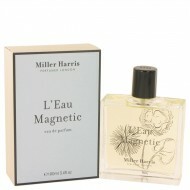 Women w..
LÆeau Magnetic is a citrusy, aromatic and woody fragrance consisting of various notes.  The initial s..
Woodland scents bring a smile to your face and romance to your heart with La Feuille, a fresh, chypr.. 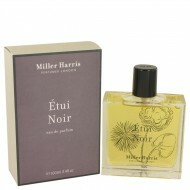 Mysteries of the East are explored in this wonderfully woody and Oriental fragrance for both women a..
created with perfumer Lyn Harris and released in 2011. This unisex fragrance has lots of character w..
Aromas from all over the world, or at least a few continents, romp together in this wildly seductive..
Balsamic, spicy and smoky scents are all infused into one inside La Fumee Ottoman by Miller Harris. 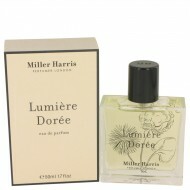 ..
For a heady fragrance that stands above similar perfumes like it, Le Jasmin PerfumerÆs Library by Mi..
A classic floral fragrance launched in 2016, Lumiere Doree by Miller Harris is ideal for a woman wit..
Noix de Tubereuse was brought out by Miller Harris in 2003. This perfume was a creation by Lyn Harri..
Poirier d'Un Soir is reminiscent of a summer's eve underneath a pear tree watching the sunset. Openi..
Rose Silence from Miller Harris is an excellent scent for almost any occasion. As a modern update on..
Women looking for a fragrance that is spicy and aromatic do not need to look any further. Tea Toniqu.. Since its debut in 2018, Tender Miller Harris has been pleasing both men and womenÆs noses with a sc..
A new interpretation of one of the traditional hearts of white floral scentsùtuberoseùis set apart b..
Vetiver Insolent by Miller Harris is anything but insolent with its aromatic, woody arrangement of s..